Mimosa is a creative and universal scheduling and course planning software for use in any kind of academic institution of varying type and size. Mimosa is also used to schedule conferences and work-shifts in business and industry environments. Mimosa is slim and fast, user-friendly and has a large capacity. Mimosa has a very rich set of efficient optimisation tools and interactive timetabling selections for all kind of scheduling tasks. 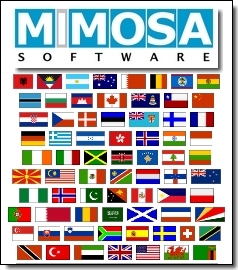 Mimosa Scheduling Software users are also entitled to free and life-long software updates. User-friendliness prevents from making common mistakes; instead users receive useful hints, answers to what-if questions and you also have the context-sensitive help or access the tutorial on our webpage. You can create all or some of the timetables either automatically, or interactively and in any order. Openness of the software allows you to move data easily to and from other applications via numerous Clipboard selections and the text file conversion tools. Flexible architecture enables Mimosa to fit for all types of users, very easily. It supports all school and university forms organizations and companies, since you can easily configure the application for your special scheduling needs or apply the included templates and sample files. Qweas is providing links to Mimosa Scheduling Software 5.7.5 as a courtesy, and makes no representations regarding Mimosa Scheduling Software or any other applications or any information related thereto. Any questions, complaints or claims regarding this application Mimosa Scheduling Software 5.7.5 must be directed to the appropriate software vendor. You may click the publisher link of Mimosa Scheduling Software on the top of this page to get more details about the vendor.